If the walls at 108 East Street in Annapolis could talk, there’s many a tale they could boom out. The ones about getting off book just in time. Ones about people stepping up when others had to back out. About equipment that failed and actors continuing on as if nothing happened. About missed cues and about perfectly nailed soliloquies. About places in plays that drew belly laughs and those that didn’t—and the actors who were sometimes befuddled or bemused by both. There are also many tales about the actors who met, fell in love, and remain happily wedded; of young leads in musicals displaying maturity beyond their years; the old-timer who still directs set production and swings a hammer to help out; and the energetic operations director and his legion of assistants who renovated the lighting and sound. 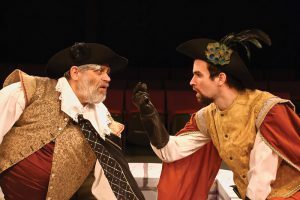 For more than 67 years, The Colonial Players have read and selected plays, held auditions, sewn costumes, molded dramatic arcs, and pushed actors to dig deeper. The result? Countless laughs and tears, and occasionally some consternation at the choice of play. Before 108 East Street served as The Colonial Players’ theatre-in-the-round, it was a car repair shop. The theater opened in 1949, and worked out of the Community Service Building on Compromise Street until 1955, when the company bought the East Street building. 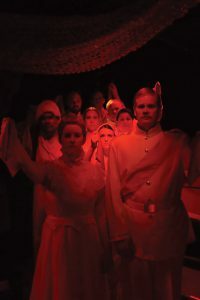 What has not changed is its mission: staging live performances, educating theatregoers and volunteers alike, and fostering a love for the dramatic arts. There’s only one requirement: to be interested—whether as a member of the audience, cast or crew—preferably passionately. The theatre draws all kinds of people, from those who’ve experienced tragedy and found solace in acting, to those like Ruben Vellekoop, who began acting after college. In 2015, Vellekoop played Looney Tunes/Narrator in Christopher Durang’s Why Torture is Wrong, and the People Who Love Them. He made his directing debut recently with Anthony Giardina’s The City of Conversation, which became even more relevant on November 9, 2016, when Americans awoke to their full-scale divisions in the aftermath of the Presidential election. Plays such as these underscore the freedom that Colonial Players enjoys. The City is not about superficial political divisions but those that go to the core of one family’s dynamics—and which Vellekoop and his actors explore. Many Colonial Players veterans have said the theatre is one big, often happy, sometimes dysfunctional family—perhaps like Americans at their best. Most have full-time jobs. All are volunteers, which means that, like Vellekoop, they are motivated by their love of the craft. When they all come together, it’s as if each is a strand of fiber—experienced and inexperienced—weaving their work together. When that happens, it’s magical. 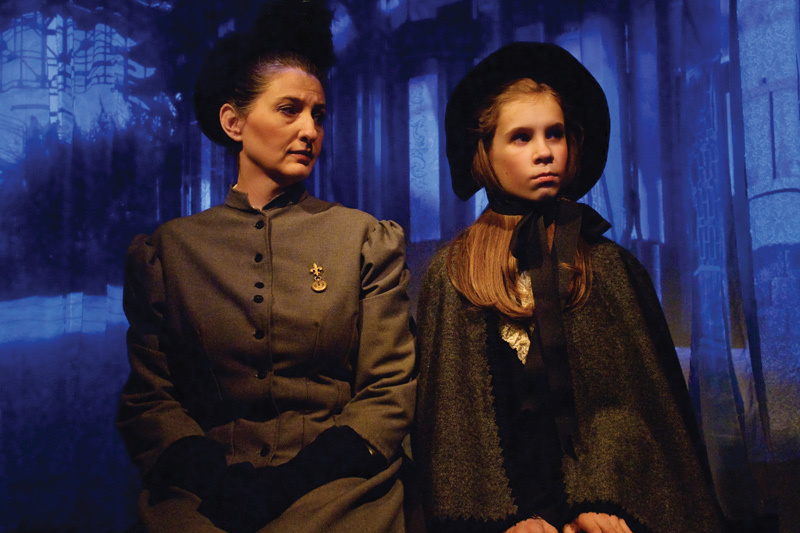 Everything is in sync, and the theatre-in-the-round setting strengthens the actor-audience intimacy. 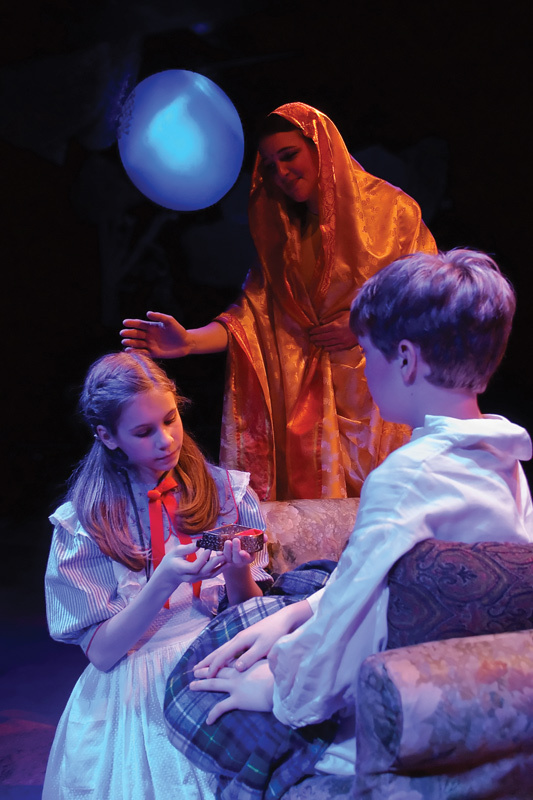 That magic was palpable in The Secret Garden, a musical directed last year by Lois Evans, who still volunteers with The Colonial Players since first directing Time Remembered in the 1965–66 season. With a minimalist set—a single chaise—Evans invites the audience to imagine the despair of a cholera outbreak—symbolized by the passing of a red handkerchief among the dancers, from the infected to the soon-to-be infected. 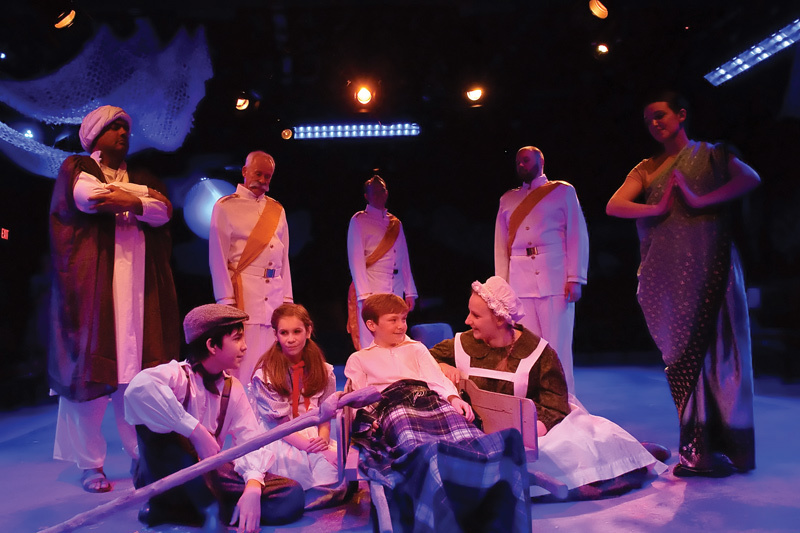 The singing, the choreography, the costumes, and the lighting, including projected images that recall Hans Christian Andersen’s cut-paper art, envelop the audience in the characters’ moods and machinations, and in the ultimate triumph of kindness. That same magic, eliciting feelings from joy to anger, reverberated through The Colonial Players’ walls with plays like The Liar, A Few Good Men, Rabbit Hole, and Going to St. Ives. A certain fearlessness in play selection also supports the magic. 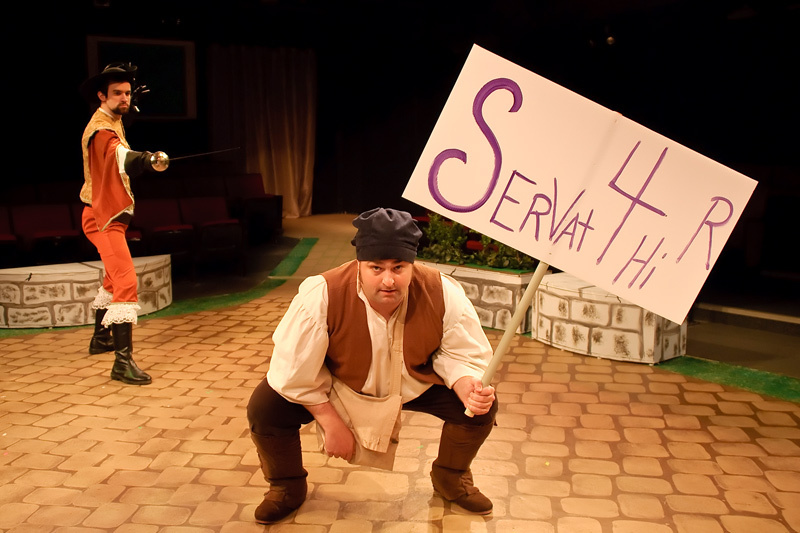 Every season, theatre lovers enjoy an eclectic repertoire—culled to six or seven plays from hundreds read—including comedies, dramas, a musical, and an “arc” play, typically something offbeat and more challenging for audiences, such as Durang’s Torture. 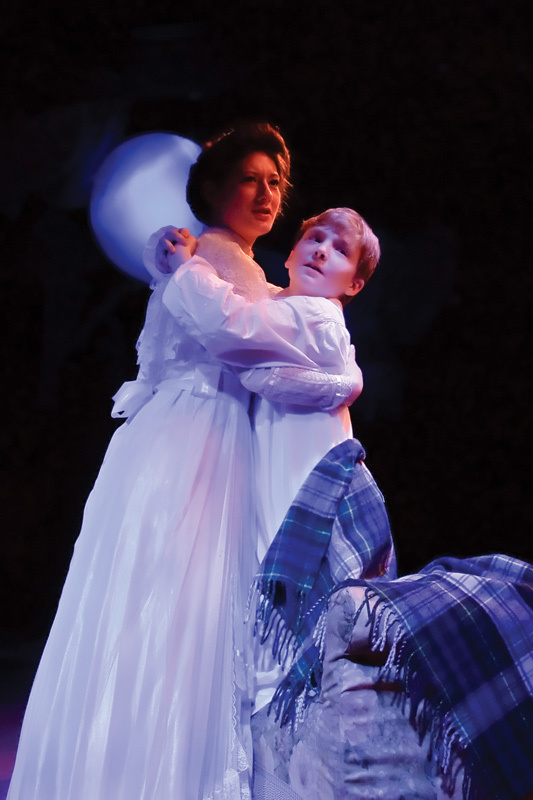 Every holiday season, Colonial Players stages something families can enjoy, alternating between A Christmas Carol and another play or musical that helps expose children to theatre, with opportunities to perform or be part of the audience. Every other summer, Colonial Players hosts a one-act festival and runs a Promising Playwright Contest (this year, they coincide). 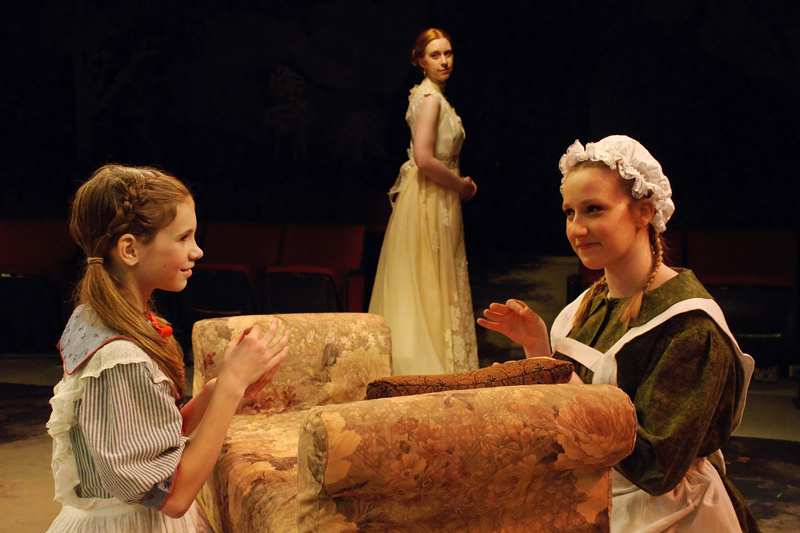 Occasionally, there’s a special project—a 24-hour play or a weeklong musical. The company also offers talk-backs with actors and directors, as well as internships and scholarships. 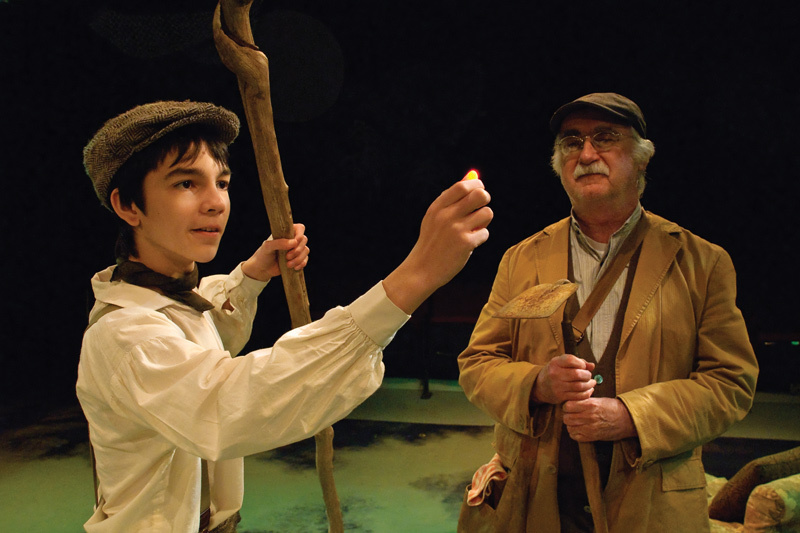 For those who love theatre but have no interest in being on stage, volunteer opportunities abound. And those who’ve always been interested in acting but have never taken the leap can audition and perhaps score a chance to walk the boards. Error: Error validating access token: Session has expired on Saturday, 09-Mar-19 15:57:50 PST. The current time is Wednesday, 24-Apr-19 08:00:34 PDT.